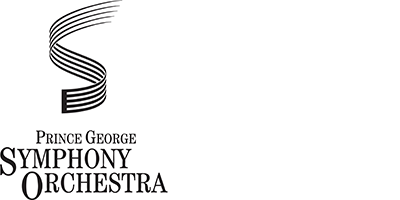 The Prince George Symphony Orchestra (PGSO) is Northern British Columbia’s professional orchestra, with a mission to enrich the cultural life of the residents of Prince George and the northern interior of British Columbia by providing excellent live symphonic music. The PGSO grew out of a small group of amateur musicians who gathered for the purpose of accompanying the Prince George Cantata Singers in performances of Handel’s Messiah. In 1970, this group formed the New Caledonia Chamber Orchestra, under the direction of Canadian composer Imant Raminsh. In 1971, the orchestra changed its name to the New Caledonia Symphony Orchestra; the name was again changed in 1981 to the Prince George Symphony Orchestra Society. 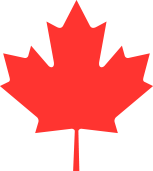 We have been and remain the only professional orchestra in the vast northern region of British Columbia. I live in Prince George, British Columbia—its landscapes, history, and spirit are a great influence on my work. I have had the usual formal training although it deserves no credit for the musician I am now. 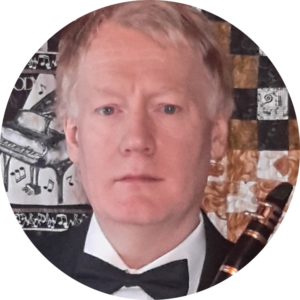 I use my experience performing as an orchestral clarinetist, chamber musician (I am principal clarinet with the Prince George Symphony Orchestra), and much study to inform my music. I have had many large scale orchestral and chamber works performed and commissioned, including The One Song (which was the basis of an entire festival), Killiniskey Duff recorded by Georg Tintner, Homestead, Trio on Northern Themes, Irish Symphony, and Birth of a City, which premièred in 2016 to standing ovations. My music seems to resonate with listeners in this part of the world and why not—it is, after all, their story. In this piece I am trying to capture my feelings being out in the great landscapes of Northern British Columbia. The forest is so many things—huge, dark, and perhaps threatening—this is what I was thinking of in the opening. The forest is also grand and comforting with landscapes that make your heart break. The clarinet is the solitary traveller.